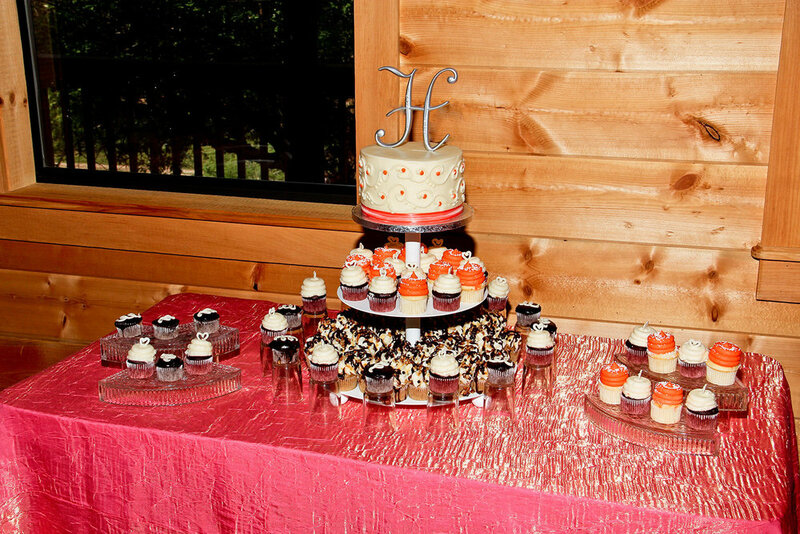 The perfect balance for couples who want their event to be simple, yet elegant. This reception experience allows for true connection to happen with the fresh, modern approach to southern hospitality. Includes, grazing table, quench station, snack + be sweet tables to provide the variety your guests are looking for. An abundance of meats, cheeses, fruits, vegetables, dips and other delightful foods! Sweet tea, lemonade, and ice water. Love is brewing! Let your guests be their own barista. Keurigs are provided for coffee and hot water! Popcorn bar and trail mix station for your delectable, customizable desserts! READY TO BOOK YOUR DESTINATION WEDDING IN THE SMOKIES? Payment of deposit does not guarantee availability. All availability will be confirmed by a coordinator. If your desired date and time is not available, you will be refunded. Otherwise, all sales are final. We got married at Flower Mountain on March 30th! it was the best day ever. they made it super easy & stress free! we will forever be grateful that we found them! we loved everything about the venue & people there!!! Marriage license is required to have a wedding ceremony in Tennessee. No blood tests or waiting period is required and can be obtained in less than an hour in Sevier County! Marriage license is not included and must be purchased separately.